Somerset has a strong connection with the English Civil War and this is evident in some of the ghost stories that are linked to the area. Battlefields are always very poignant sites and Somerset’s Sedgemoor Battlefield is no different. When you visit here the first thing that you are likely to notice is the two huge trees that tower like twin sentries watching over the memorial stone that commemorates the lives lost on both sides. 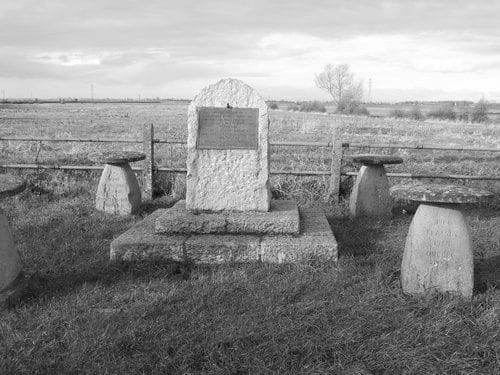 The stone reads: ‘to the glory of God and in memory of all those who doing the right as they gave it fell in the battle of Sedgemoor 6th July 685′. The raw emotion of this blood stained battlefield, turned mass burial site can still be felt and not surprisingly, there are spirits here too. The local farmers have often reported seeing galloping horsemen racing across the field and also eerie disembodied voices urging them to come on over the River Carey! Some have also claimed to have seen the shivering form of Monmouth making a cowardly retreat from the battle. Perhaps one of the most haunting ghost stories of this place is that of the young girl who was forced to look on as her lover was executed after the opposing troops promised he would be spared if he could out run the horses, only to go back on their word when he did just that. Her heart broken, the girl drowned herself in the river and her spirit regularly returns to the battlefield perhaps searching for her fallen love. 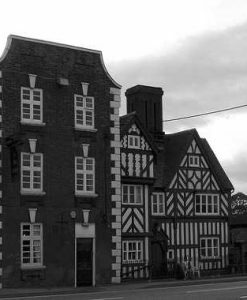 The George and The Pilgrim Hotel is located in Glastonbury which is often referred to as the occult Capital of England! 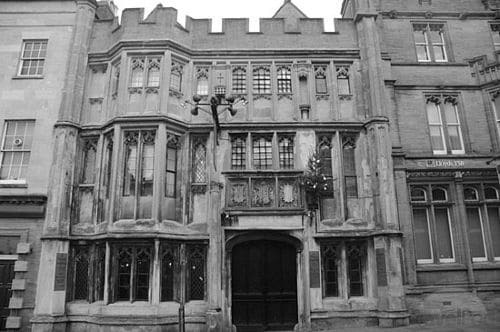 The hotel has been standing there in the high street since 1475 and is said to be home to at least two different ghostly entities! 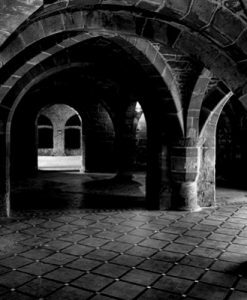 The first of these ghosts is said to be a monk who has been spotted wandering the dark corridors of the hotel in the early hours of the morning, with the floorboards creaking under his feet. The other is said to be an elegant lady who follows him on occasion with a look of yearning on her face! A visiting medium claims that the pair were in fact lovers, but due to the monk having taken a vow of celibacy their love remained unconsummated and they have forever been doomed to stay there bound to Earth because of this! 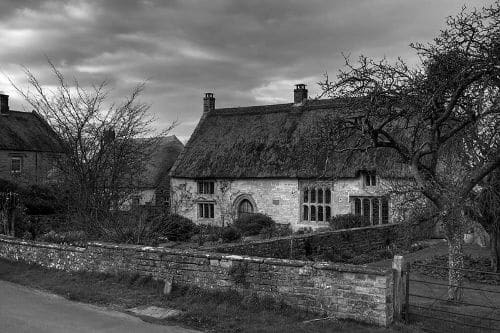 This late medieval house was formerly the home of the priest’s who served the parish church in Muchelney which is how it came to be known as Priest’s house. It is allegedly a very haunted building. Most of the tales centre on a nun and a priest from the parish who ended up falling in love with one another and decided to marry in secret. They settled into a secret life of marital bliss, with the nun being hidden away in a room that only the priest knew about. However, one day the priest returned from being called away on church business to find her dead inside the secret room. Ever since there have been unexplained disturbances in the house. There have also been reports of a spectral monk, which one former tenant said they saw on a very regular basis. There are also claims of the doors banging in the middle of the night! It is unclear how much of this activity can be linked to the death of the nun, in fact, there is no information regarding how she actually died either, so it is not certain that it is even her who is causing the disturbances – it could all be down to the monk! 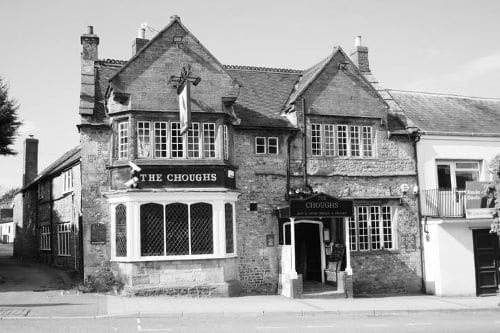 The Choughs Hotel is a 17th century building that is located in the town of Chard in Somerset, but it wasn’t always a hotel. At one time, it actually served as a school and in another period it was a brothel! 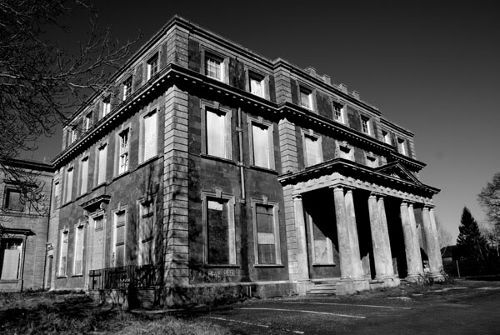 This is one of the most haunted places in Somerset and one of the most haunted hotels in all of Britain! One the first floor of the hotel, one of the bedroom is home to the spirit of a young girl known as Elizabeth. Her apparition is frequently seen walking across the bedroom and her back story is pretty sad. She apparently committed suicide in the room by way of poisoning back in 1845 in order to avoid entering a life of prostitution like her mother and her sister before her. How tragic, to feel like death is the better option than the life you have been given. 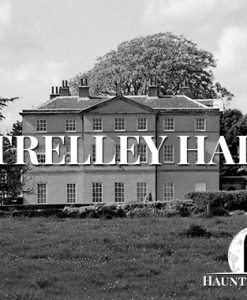 Elizabeth is not the only spirit haunting The Choughs Hotel, another of the bedrooms is occupied by a man who was stabbed to death in the room! There is also a grisly apparition of a hanged man in the attic on occasion, and there is also poltergeist activity within the attic space! The bar area is said to be the most active spot in the hotel with many ghostly apparitions being reported wandering through the bar. One of the most frequently spotted apparitions here is of an old couple sitting in the bar area together. Given the nature of the building’s history it is easy to see why there could be some restless souls trapped here. 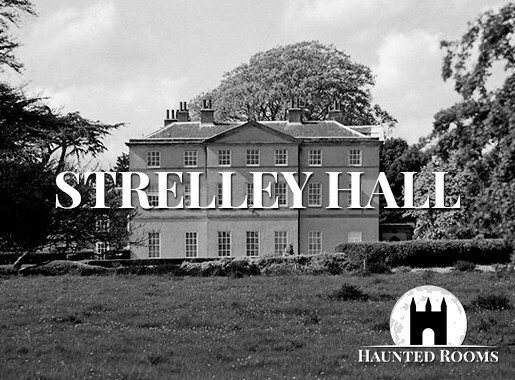 It has become well known among locals for high levels of paranormal activity. Visitors have reported doors slamming shut for no reason, unexplained noises that can never be traced to a source and also whispering voices. Lights and other switches will frequently be switched on and off by themselves and odd cold spots appear all over the building. 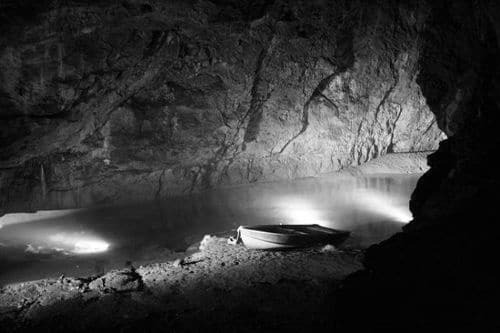 Wookey Hole is one of Somerset’s most well known spots as well as one of its most haunted ones! It is a series of limestone caves in the Mendip Hills. The caves are extremely old and may have been in use by humans for around 45,000 years! One of the must see points is the human shaped stalagmite, known as ‘The Witch of Wookey Hole’. Local legend states that she was an evil witch who was turned to stone by a Glastonbury monk. Her spirit is said to haunt the cave’s and the ‘Witch’s Kitchen’. Wookey Hole Mill is close to the caves and is also said to be very haunted! Former workers are said to still be hanging around the building and several of them apparently met very tragic ends! Some of the most common ghost sightings in the mill include a young girl in the basement and on the ground floor and an aggressive, mentally ill man who is said to haunt the Magical Mirror Maze attraction within the mill! There has been some form of castle protecting Taunton since Anglo Saxon times, although the original Anglo Saxon fortification was destroyed back in 722. The castle that stands today is believed to occupy a completely different site. It was built as a priory in 1086 by the Bishop of Winchester and later fortified by Chancellor William Giffard. It wasn’t expanded into a proper castle until 1138, under the instruction of Henry of Blois. The castle continued to be fortified over the years, but by the 1600s is had fallen into ruins. 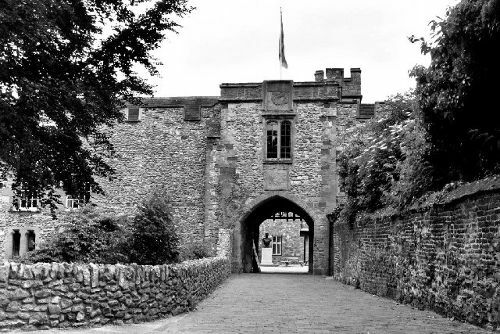 During the English Civil War, Taunton Castle was repaired and used by both sides, but at the end of the war it was partially demolished. However, the history didn’t stop there! In 1685, following the Monmouth Rebellion, Judge Jeffreys had 140 of Monmouth’s supporters hung, drawn and quartered in the Great Hall! No wonder the castle is haunted! However, the ghosts of Taunton Castle are perhaps not the ones that you might expect to be hanging around! There are no reports of the 140 men slaughtered in the castle, but you may be unlucky enough to encounter the Judge Jeffreys stomping around the corridors terrifying visitors witless! 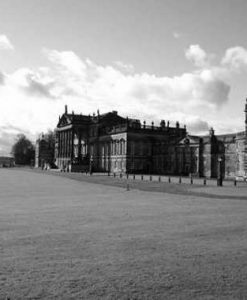 There have also been reports of a Civil War cavalier on the stairs, a young woman roaming the building and a Grey Lady in 17th century attire. A large number of the staff also refuse point blank to enter the Somerset Room because of poltergeist activity and severe temperature drops!